The Solar Outdoor is an absolute highlight for your garden. 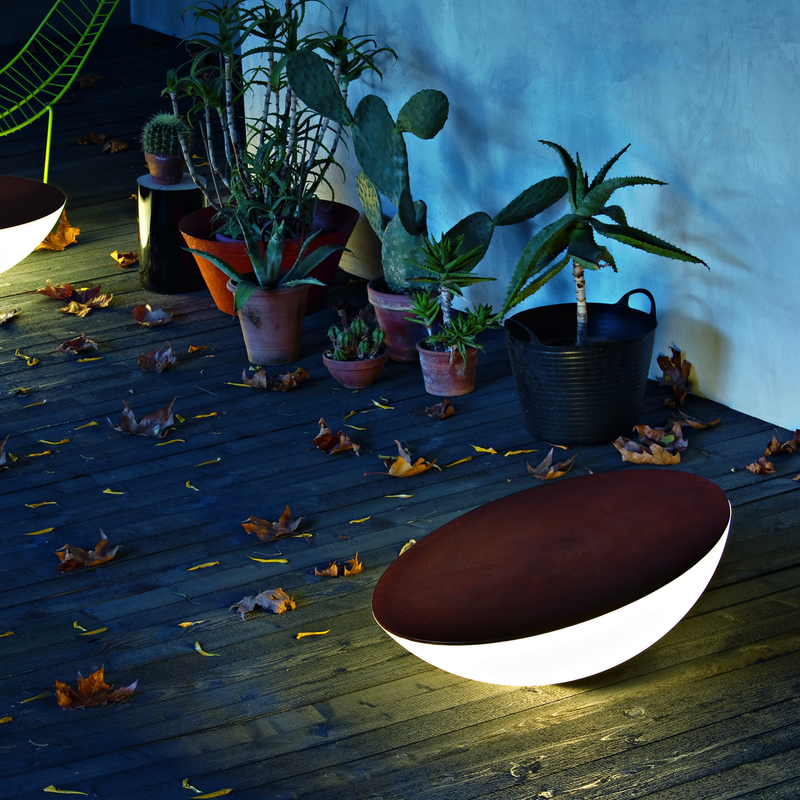 When Jean Marie Massaud designed this lamp in ellipse shape in 2011, he wanted to create a natural-looking source of peace. To this end, he combined the inclined shape of the Earth with a lighting effect that the inferior of a sunrise in nothing. The resulting solar outdoor is by its extravagant form a special eyecatcher. It is suitable when it is oriented flat, as a small table and loads, almost like a modern fireplace, a people to gather around them. If you tilt it with her foot by 15 °, so shall the simple, yet unique design of the SolarTerra to the fore, and she shows her skills as a stand-alone piece of art. The Solar Outdoor is thus a perfect highlight for any garden.